THE FIFTH SEASON wins a Hugo Award! Congratulations to N.K. 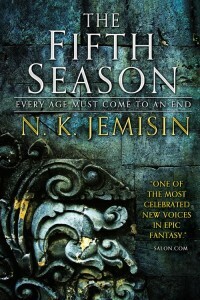 Jemisin, whose THE FIFTH SEASON won the Hugo Award for Best Novel last night in Kansas City! The sequel to THE FIFTH SEASON, THE OBELISK GATE (US | UK | ANZ), is now available as well. Early praise has called it “even more engrossing” (Amal El-Mohtar for NPR Books). THE FIFTH SEASON was in good company, the other nominees for Best Novel including Ann Leckie’s ANCILLARY MERCY (US | UK | ANZ). Congratulations to all the Hugo Award nominees and winners!